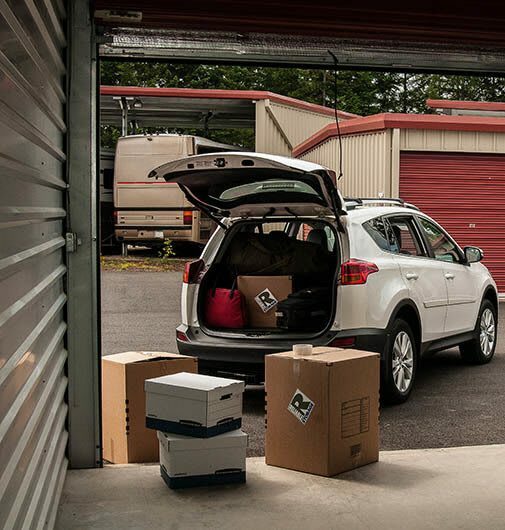 If you have questions about self-storage, you’ll find answers here! Nothing makes us happier than answering questions, so here are a few we’ve gotten over the years that may help you. Feel free to call your local facility if your question isn’t on this list. We’re ready to help. Our favorite way is when you pick up the phone to call us, but if you’re more of a digital person, just click on the Locations tab from the homepage and choose from one of our 7 convenient Reliable Storage facilities. There, you can get a free quote, reserve your space, or request more information via email. Simply put: all types for all people. Personal Storage units are available for furniture, file cabinets, family keepsakes or seasonal lawn and garden equipment. For professionals, we offer Business Storage units where file cabinets, documents and office furniture can be securely stored and easily accessed. 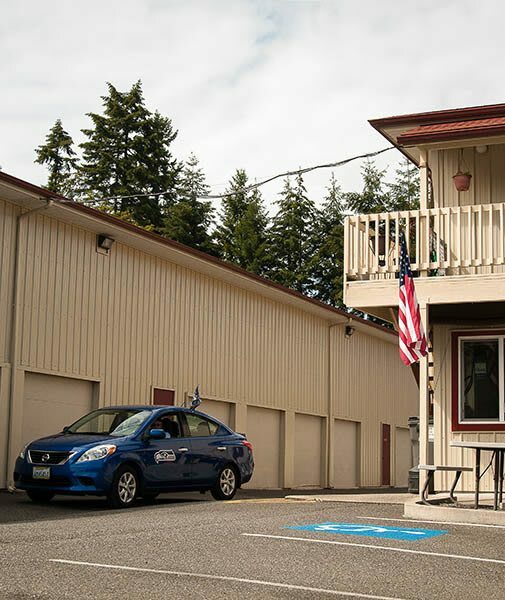 Reliable Storage can accommodate cars and motorcycles at all seven sites and offers vehicle and boat storage at our Kingston, Port Orchard, Bainbridge Island and Fairground facilities, so call us to see which site can accommodate you best. A lot. First off, there’s our onsite live-in managers who survey the property constantly and always keep an eye and ear out. We also outfit our premises with state-of-the-art technology including: building intruder alarms, computer-controlled access, individual unit door alarms, multi-camera video surveillance and high-security unit locks. Ain’t nobody getting in but you—count on it. If you’ve got a junk closet or an entire junk garage, you’re in luck. Our unit sizes range from approximately 5’x5’ to 10’x30’ and up to 9.5’ high—so basically, as compact as a closet to as large as a garage. Many facilities also offer smaller and larger spaces, from storage lockers to extra-large units. Our Storage Professionals can help you figure out the best unit to suit your needs and items. You can also use our online Storage Calculator. Do you have climate-controlled (heated) units? Absolutely, we have heated units at most of our facilities. These units maintain a set temperature range to insulate and preserve your belongings such as electronics, records, artwork and other valuables. Not sure if you need climate control? Just call us. We’ll help you figure it out. Nope, no long-term anything here except satisfaction. 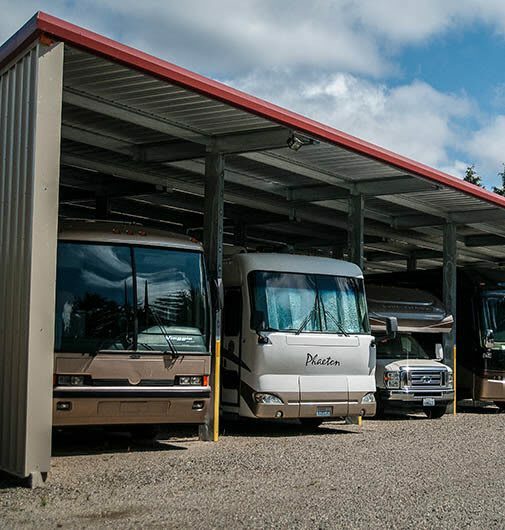 At Reliable Storage, all storage is done on a month-to-month basis, and we offer many convenient payment features, plus we pro-rate our months, so you never pay extra for days you don’t use. New Tenant: If occupant changes their mind within 5 days of the rental without occupying the unit, they will be charged for the days that they had the unit, charged the admin fee and may be refunded the pro-rated remaining days. Long Term Tenant: If occupant moves out prior to the 12-month period and vacates between the 1st and the 15th of the month, a pro-rated refund is given for the move out month, plus a full refund for the paid ahead months. 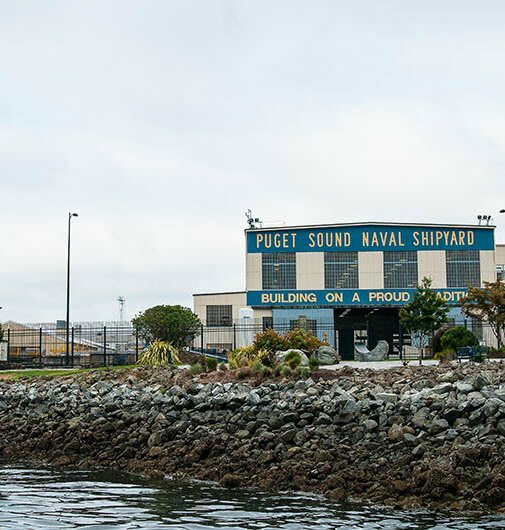 If the move out occurs from the 16th thru the end of the month, no refund is given for the move out month (except military tenants), but the paid ahead months will be refunded. All Other Tenants: If the move occurs between the 1st and the 15th of the month, a pro-rated refund is given, plus any paid ahead month/months. If move out occurs between the 16th and the end of the month, no refund is given. Any paid ahead months will be refunded. No Refunds: will be made to tenants who remain tenants with additional units. Occupants that move out of one unit and retain an on-site unit with Reliable Storage will have any credit from the vacated unit transferred to an exisiting retained unit. Active Military Tenants: Will always receive a refund upon move-out. You bet. Handcarts are available at each facility for both move-in and move-out. That’s really your call, but it’s always a good idea to have insurance to protect the value of your belongings. Our facilities provide storage insurance information, so just call and ask. You can also check with your personal insurance provider. If you’re a homeowner, ask your personal insurance agent if your policy covers self storage facilities. Office hours mean a Property Manager is in the office ready to help, answer questions, accept payments, sell supplies or just ask you how your day is going. During access hours, you can use your gate code to access your storage unit, but a Property Manager may not be on hand to assist you after the office is closed and on Sundays. However, if you really need to get in, then we really want to help you, so just call us during regular office hours, and we’ll make arrangements with you.